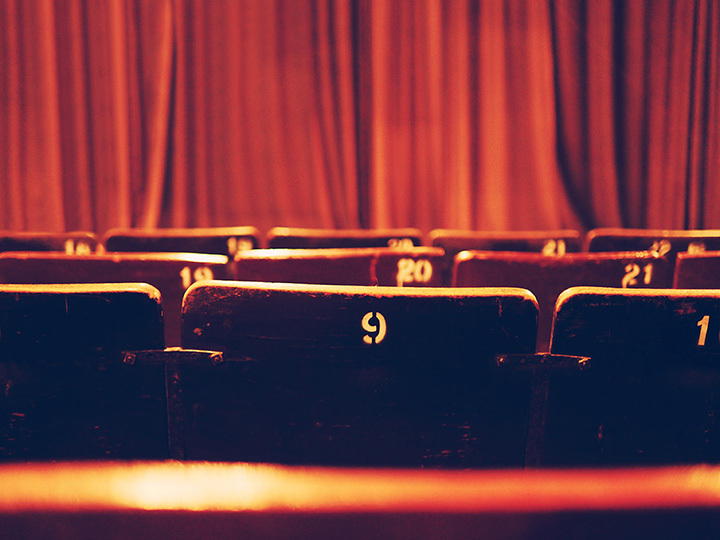 The culture surrounding theater in Mississippi has long been vibrant. The state is home to some of the most magnificent play houses and silver screens in the country, offering a glimpse into the past with their well-preserved architecture and classic splendor. The performances evolve through the years, offering the best of modern movies, performances, and favorites that have stood the test of time. Go see one for yourself at these 10 best historic theaters in Mississippi—there’s nothing else quite like them. Having first opened its doors in 1890, the Grand Opera House has remained virtually unchanged for the past 100 years. It was first used as a stop for traveling shows, then, in the 1920s, adapted its structure and function to accommodate movies. The first floor of the building also shared space with retailers and other commercial renters, leaving the second floor to house the theater. This landmark has now become one of the most precious icons of Mississippi history, having been sealed since 1928 and remaining just as it did when patrons enjoyed its facilities for shows nearly 100 years ago. Now operating as the Riley Center, guests can once again enjoy the theater that so many had visited before them. It costs just six cents to attend a show at this prestigious theater in 1929. Times have certainly changed since them, but one thing remains the same: this beloved venue is still delighting folks with movie screenings just as it did nearly 90 years ago. Located in historic Hattiesburg, the Saenger Theater has undergone large scale renovation and restoration projects to protect its former grandeur. It still contains its original 778-pipe Robert Morgan pipe organ, one of the few remaining of its kind. You can take a group tour, or simply catch an upcoming production and enjoy everything the theater has to offer. The late 1800s saw a new beginning in Oxford that has remained a long-standing tradition to this day. The property was first used a livery stable by William Faulkner’s family, which was later converted into a performance and music venue in the 1920s. In 1949, the Lyric became the first movie theater in Oxford, which Faulkner himself attended when one of his novels was brought to life in the film “Intruder in the Dust.” The theater was abandoned in the 1970s, then later restored and reopened in the 1980s as a multipurpose facility. Today, the Lyric has returned to its roots as a performance venue. This historic theater opened its doors in 1927, and has been going strong ever since. Now home to the Laurel Little Theater, which is in its 57th season of performances, visitors can enjoy popular stage plays, musicals, movie screenings, and more. There’s something new every season, and the theater company has been known for paying homage to the silent movie era, Broadway, and pop culture icons alike. This classic theatre was first a movie house when it opened in 1937. The theatre shuttered in 1985, but was soon purchased by 65 families who wanted to preserve the theatre’s history. They decided to show movies on Friday and Saturday nights to raise money, along with selling popcorn, candy, and drinks. Since then, the stage has been improved and expanded to include a sound system and lighting. In addition to movie screenings, the stage often hosts dance recitals, children’s productions, fashion shows, and local interest performances. Serving the area for over 93 years and counting, this majestic theater is a step back in time. Today, visitors can enjoy local shows, including dance recitals, beauty pageants, and musical performances, along with concerts conducted by the house symphony orchestra. The Coliseum is also available for rent to give you event an upscale, enriching atmosphere. With a marquee ablaze in classic round lights, this elegant movie palace brought the silver screen to life for patrons decades ago. Silent movies enjoyed the company of an authentic Robert Morgan pipe organ before talkies took over. Today, the Temple still boasts its original features, including its proscenium arch, tunnel system leading to a Cold War fallout shelter, and a giant screen showcasing local features and films of many genres. Though its history isn’t as deeply rooted as some of the other historic theaters in Mississippi, this playhouse is actually among the longest continually operating theaters in the state. Having opened in 1962, you won’t find a more unique theater anywhere else. Each season brings a new selection of productions, ranging from children’s favorites to musicals to comedies and dramas. It’s community theater at its finest, and the longstanding history only adds to the experience. Initially opened as a movie theatre in 1934, the Strand Theatre shuttered its doors just 30 years later. The theatre has since reopened to the public, bringing a screen and performance stage back to the city. Complete with an outdoor box office, classic marquee, and much of the original architecture, visitors can expect a taste of what the movie life was like decades ago. Not much has changed at this downtown Jackson theater, except for the performances within. Outside you’ll see the same sign and marquee as the generations before you saw. Inside isn’t quite the same story, though, as they’ve updated seating, flooring, and decor to reflect a modern appeal to theater. The space is multiuse, offering accommodations for stage productions, movies, and events.